Whatever your load, tow it with confidence in a Haulmark Trailer. 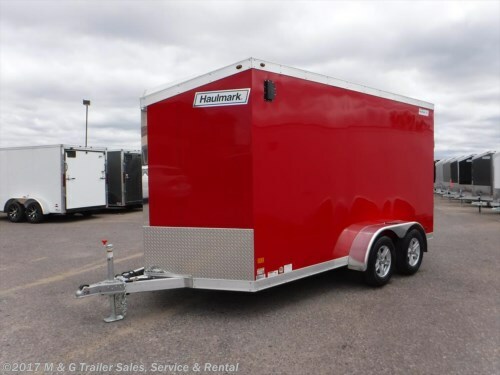 An industry leader in cargo trailer manufacturing, Haulmark has a cargo trailer to meet your needs and budget. Welcome to the official M&G Trailers blog! M&G is a family-owned and operated business that has been serving customers out of our Ramsey, Minnesota location since 2000. We carry over 500 trailers on our lot from top manufacturers including, Aluma, Triton, Midsota, H&H, and many more. We specialize in new and used utility trailers, but also offer enclosed trailers, dump trailers, equipment trailers, and recreational trailers.